Update your Blazor package and .NET CLI tool references to 0.3.0. Remove any package reference to Microsoft.AspNetCore.Razor.Design as it is now a transitive dependency. Update the C# language version to be 7.3. You may need to restart Visual Studio for this change to take effect. Update component parameters to not be public and to add the [Parameter] attribute. Update layouts to inherit from BlazorLayoutComponent and remove the implementation of ILayoutComponent including the Body property. 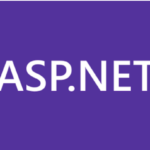 The Blazor project templates have been updated to use Bootstrap 4. Bootstrap 4 includes lots of new features including an improved grid system based on flexbox, an improved reset file, new components, better tooltip support, better forms styling, built-in spacing utilities, and much more. Event handlers can now be asynchronous and return a Task that gets managed by the runtime. Once the task is completed the component is rendered without the need to manually invoke StateHasChanged. Any exceptions that occur during the asynchronous execution of the event handler will be correctly handled and reported. This release adds strongly typed events for the most of the commonly used browser events, including mouse and focus events. You can now handle most events from your components. You can see a full list of the events now supported in here. Most of the event arguments don't yet capture and surface the data from the events. That's something that we expect to handle in a future release. We welcome community contributions to help out with this effort. To capture an element reference from a component attribute the element markup with a ref attribute that points to a component field of type ElementRef. Let's create a API that lets us set the focus on an element. We could define this API in our app, but to make it reusable let's put it in a library. Add a ElementRefExtensions class to the library that defines a Focus extension method for ElementRef. Update Pages/Index.cshtml to add a button and a text input. Capture a reference to the text input by adding a ref attribute that points to a field of type ElementRef with the same name. Add an onclick handler to the first button that sets the focus on the second button using the captured reference and the Focus extension method we defined previously. You can also capture references to other components. This is useful when you want a parent component to be able to issue commands to child components such as Show or Reset. To capture a component reference attribute the component with a ref attributes that points to a field of the matching component type. Note that component references should not be used as a way of mutating the state of child components. Instead, always use normal declarative parameters to pass data to child components. This will allow child components to re-render at the correct times automatically. For example, we can use OnAfterRender to set the focus on a specific element when a component first renders. The example below shows how you can receive the OnAfterRender event in your component. Note that OnAfterRender / OnAfterRenderAsync is called after each render, not just the initial one, so the component has to keep try of whether this is the first render or not. In this release we've made some changes to the programming model for component parameters. These changes are intended to improve the encapsulation of the parameter values and discourage improper mutation of component state (e.g. using component references). Component parameters are now defined by properties on the component type that have been attributed with [Parameter]. Parameters that are set by the Blazor runtime (e.g. ChildContent properties, route parameters) must be similarly attributed. Properties that define parameters should not be public. Layouts now inherit from BlazorLayoutComponent instead of implementing ILayoutComponent. The BlazorLayoutComponent defines a Body parameter that can be used for specifying where content should be rendered. Layouts no longer need to define their own Body property.